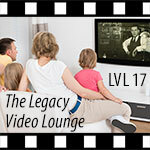 ← Choosing your video biography playback options. What does the idea of “leaving a legacy” mean to you? Some folks equate “legacy” with “inheritance,” thinking of it only in terms of the money and physical possessions they’ll leave to their loved ones. Others see passing along life stories and values as their true legacy. In this episode personal historian and Family Legacy Video® president Steve Pender introduces you to someone who has a foot in each of these camps. Jeff Knapp is an attorney specializing in Estate Planning. Jeff’s a lifelong New Jersey resident. He founded the Knapp Law Firm in Basking Ridge, New Jersey, hanging out his shingle in 1989. He’s one of four Estate Planning Law Specialists in the Garden State and he’s a member of both the New Jersey and Florida Bars. He’s also an Accredited Estate Planner, a Certified Financial Planner, a Certified Thinking Consultant, and holds a Post-Doctorate Masters in Wealth Strategies Planning. He’s also a SunBridge Network Certified Legacy Advisor. Jeff has been married for thirty years. He has four adult sons. One is currently in law school and a second just took his LSATs. So it looks like the Knapp Law Firm’s legacy may continue for another generation. Steve first met Jeff during high school. They went their separate ways but reconnected a number of years ago after Jeff stumbled onto the Family Legacy Video® website. While Jeff is an expert in the nuts and bolts of estate planning, he’s also a big believer in incorporating life stories into the process. He kindly put down his snow shovel during a recent blizzard and spoke to Steve by phone from his home in New Jersey. The conversation touches on just what estate planning is all about and how Jeff uses stories to teach estate and legacy planning concepts to his clients as well as ways he encourages his clients to pass along life stories that speak to family values and identity. In Australia, Legacy is an organisation formed by ex-service men and women after WWI to provide assistance to the widows and children of deceased ex-servicemen. I was a Legacy ward as Dad died when I was 12 and we had a Legatee appointed to help Mum to work out her finances and a home for us following Dad’s death. They held weekly activities for under 16’s and another group for over 16’s plus annual camps. Legacy is still running today with strong weekly groups for war widows where I have been a popular speaker. I don’t use the word legacy in my presentations, to avoid confusion with Legacy. Thanks for sharing, Annie! Sounds like a great organization and I can see why you would avoid using “legacy” to avoid confusion in your neck of the world.